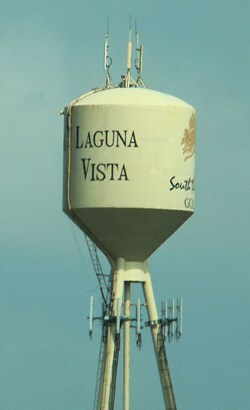 The name comes from the view of Laguna Madre enjoyed by residents. Mexican salt traders passed through the area in the early 19th century. The sea salt made its way to markets in northern Mexico. Ranching developed in the area and in time (over quite a bit of time) a permanent community developed. Nothing much seems to have happened here for the largest part of the 20th Century, and in 1983 the estimated population was just 632. This increased to 1,166 in 1992 and 1,658 for the 2000 census.